Uncategorized Archives – JPIC-IDC, INC. The launching ceremony was held at the basement of the Fr. Anselmo Bustos Gym at the University of San Carlos Downtown Campus, Cebu City. 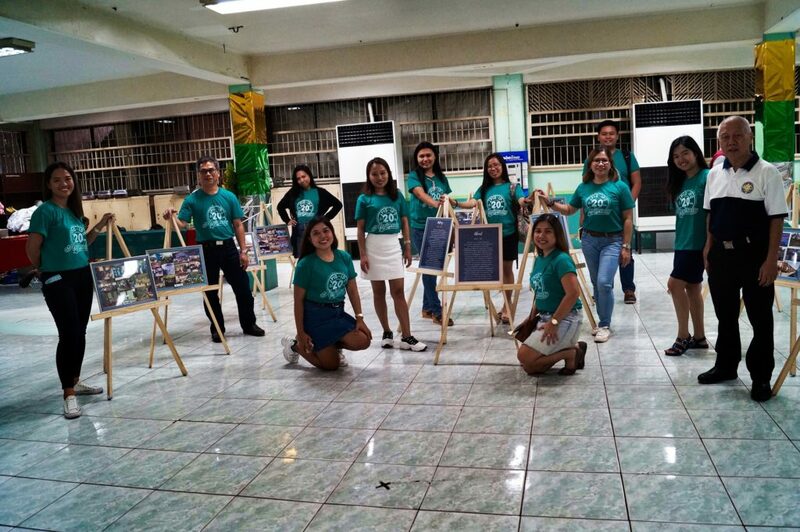 The event was organized by the HRM and Tourism students of USC. It was attended by representatives from the 21 partner communities of JPIC-IDC, SVD priests, JPIC-IDC staff, members of the JPIC-IDC BOT and Corporation, members of the CES team, Fr. Dionisio Miranda, SVD (President of USC), guests, friends and students. The event started with a Eucharistic celebration at 10:00 presided by Fr. Anthony Salas, SVD (former Executive Director of JPIC-IDC and former VPAA of USC). A short program followed and it ended with a sumptuous lunch. The anniversary is not so much a celebration of JPIC-IDC’s 20 years of existence; but what the organization has become and has done these past 20 years. Yes, ‘20 years of transforming lives, putting the poor at the forefront’ is the raison d’être of this year-long celebration. Indeed, JPIC-IDC is grateful to have become an instrument of God in helping ‘people on the edge’ to regain their dignity and sense of pride. Equally, it is proud to have contributed something remarkable to the wellbeing of the less fortunate people of society. As JPIC-IDC celebrates in joy and gratitude, it is also full of optimism that it would be able to touch more people in the years to come through the kind and untiring support of its generous partners, benefactors and donors. Agusan Health Project Phase 3 has come to an end. 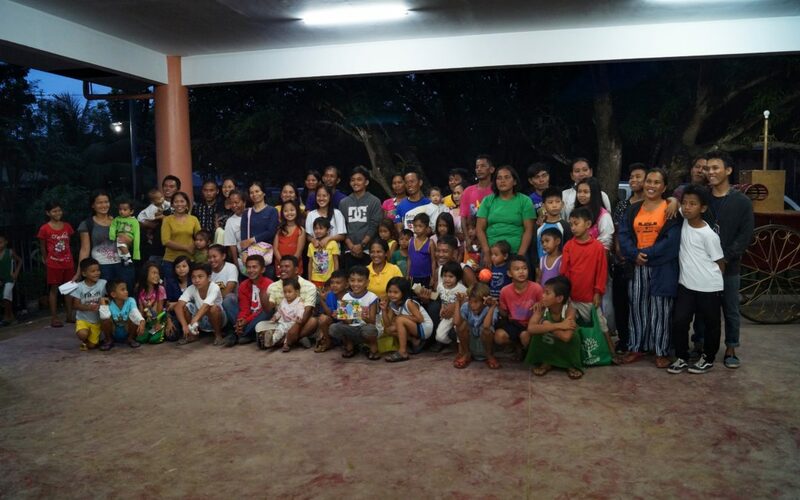 This is JPIC-IDC’s project in Agusan del Sur and its objective is to improve the health services in the Municipality of Bunawan, Agusan del Sur with an official project title “RIGHT TO HEALTH AND HEALTH CARE FOR MARGINALIZED POPULATION GROUPS IN BUNAWAN MUNICIPALITY, AGUSAN DEL SUR, PHILIPPINES” and implemented from March 2016 to March 2019 with the support from German Federal Ministry for Economic Cooperation (BMZ) through the Karl Kűbel Stiftung (KKS) and in partnership with the Provincial Government of Agusan del Sur and the Municipal Government of Bunawan. 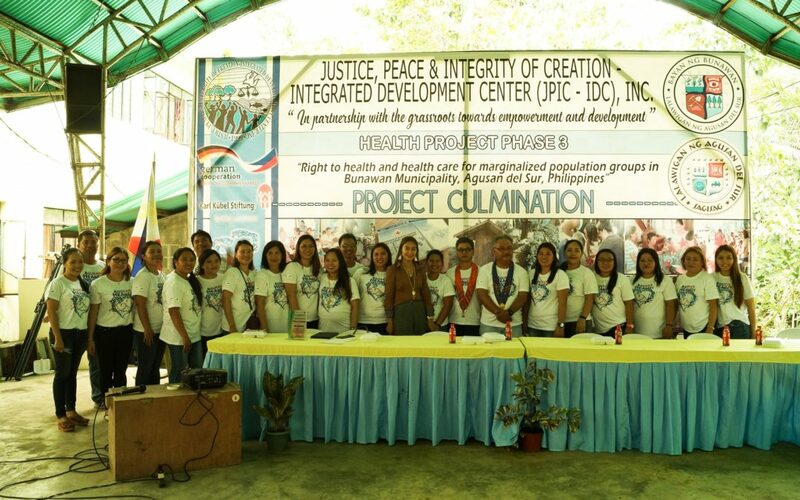 The culmination activity was attended by government officials, health workers, and JPIC-IDC. 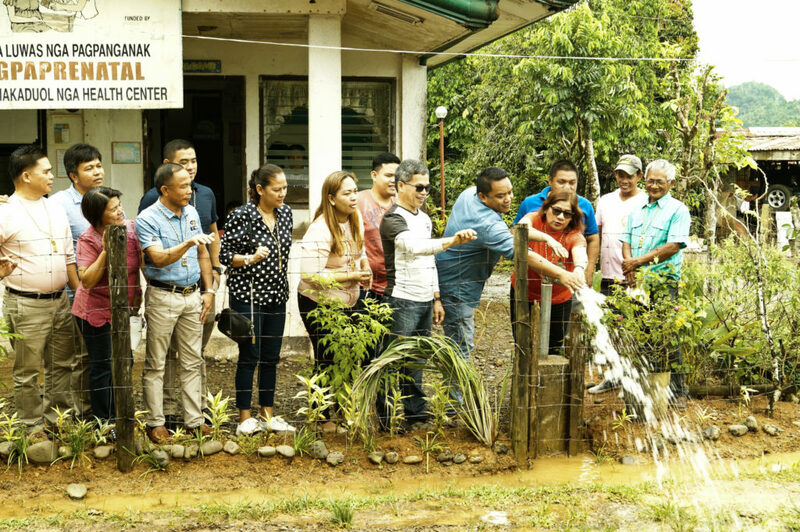 JPIC-IDC turned over a potable water supply system to Barangay Imelda, Bunawan on March 18, 2019 after three years of rehabilitation, construction, and extensive capacity building. 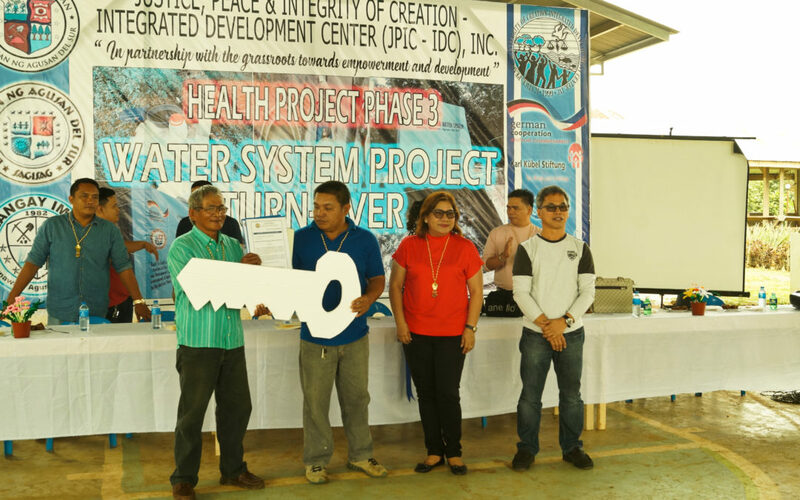 The water system project is one of the components of JPIC-IDC’s Health Project in Agusan del Sur. This activity was done through a simple ceremony attended by JPIC-IDC representatives headed by its Executive Director Fr. Romeo Q. Cagatin, SVD, Sangguniang Bayan members of the Municipality of Bunawan headed by Hon. Sylvia B. Elorde, Vice Mayor, Barangay Imelda council and residents, and Barangay Imelda Water Service Cooperative (BIWASCO) officers. Highlighting the ceremony was the blessing of the water reservoir tanks and the ceremonial sprinkling of the fire hydrant. The BIWASCO officers headed by its Chairman Mr. Wilson Quilaman accepted their duties and reponsibilities in sustaining the water system. The project provides access to safe drinking water to the households in Puroks 1, 2, & 3 in Barangay Imelda. Classified as Level III, the water system is a piped system with a water point serving to the households. Aside from rehabilitating the water system, JPIC-IDC constructed 3 intake boxes, 2 reservoir tanks, chlorinator house, valve boxes, laid pipelines, and installed communal faucets. 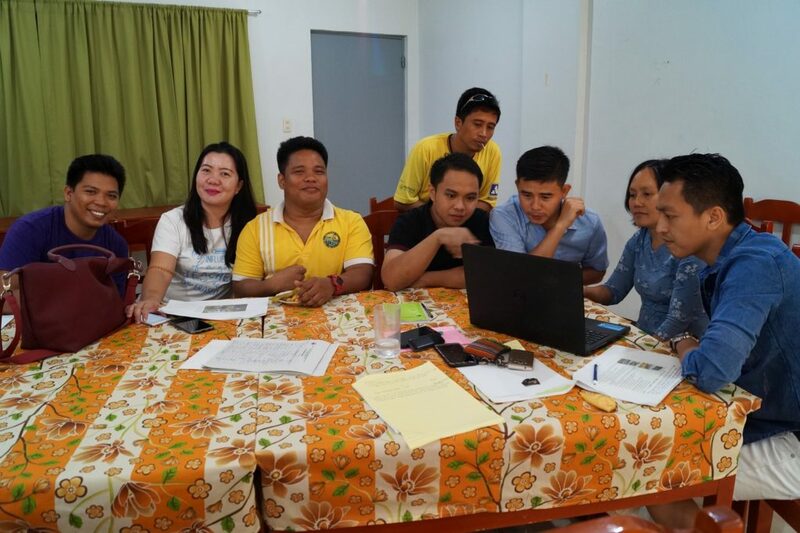 JPIC-IDC also assisted in preparing for the turn over through the formation of the water system cooperative, conduct of various community organizing and capacity building activities. All geared to equip the community with skills to run their own water system including plumbing, leadership training, financial management, and among others. 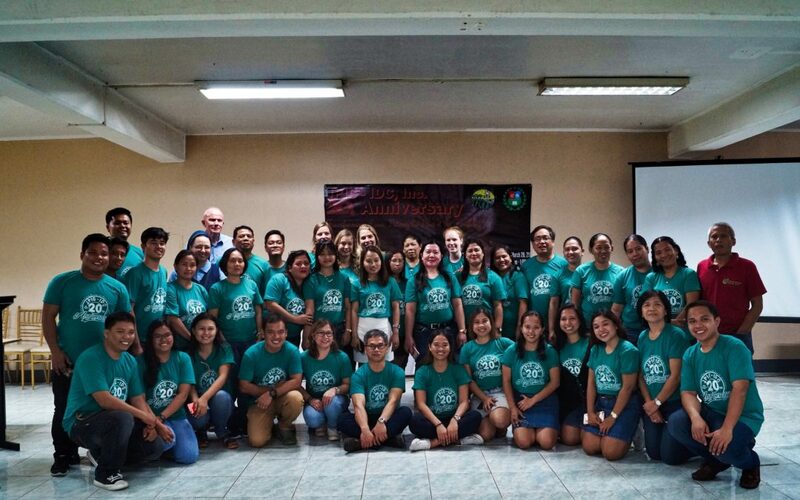 This project is under JPIC-IDC’s Agusan Health Project Phase 3 which have been designed to aid marginalized communities and promote the United Nations‘ Sustainable Development Goal No. 6 on Clean Water and Sanitation. 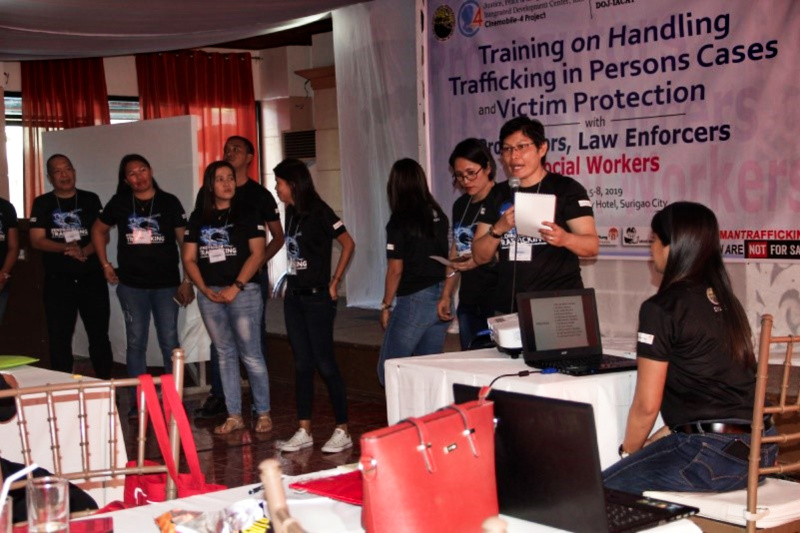 On March 4, 2019, Training on Handling Trafficking in Persons Cases and Victim Protection with Prosecutors, Law Enforcers and Social Workers was conducted at Philippine Gateway Hotel in Surigao City. 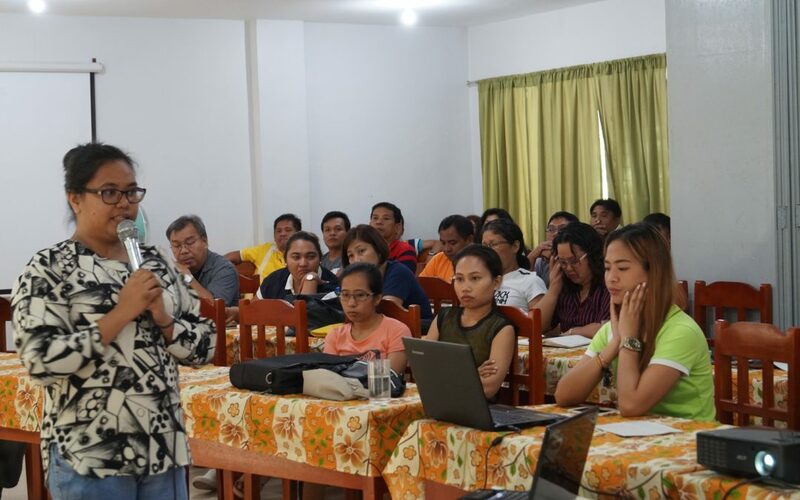 The training was spearheaded by the Justice, Peace and Integrity of Creations – Integrated Development Center, (JPIC-IDC) Inc. in partnership with the Inter-agency Council Against Trafficking (IACAT) of the Department of Justice. The activity was participated by fifty nine (59) delegates from different municipalities of Surigao del Norte. 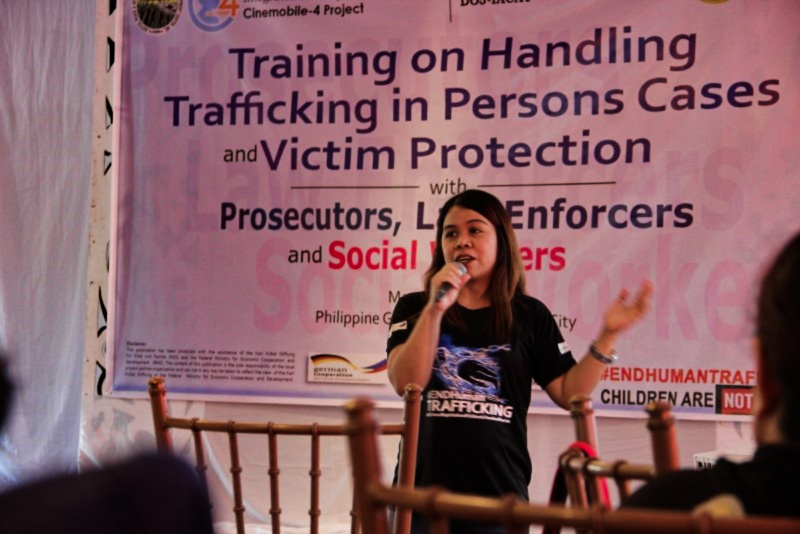 The training aimed to capacitate the duty bearers and service providers who are handling cases of trafficked persons. According to the Deputy Executive Director of IACAT, Atty. Yvette Coronel, Surigao del Norte is one of the provinces with cases of human trafficking because of the booming tourism industry. The Executive Director of JPIC-IDC, Inc, Fr. Romeo Q. Cagatin was also present during the entire duration of the training to support the programs of the organization. The Multi-disciplinary Training is one of the activities under the Cinemobile 4 project. 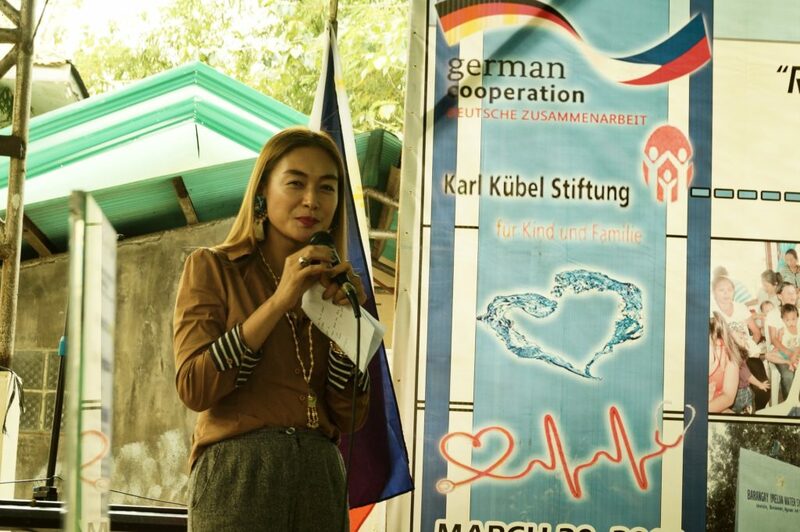 For close to ten years, the JPIC-IDC, Inc has been actively working in Caraga addressing the problem of human trafficking with the support of Karl Kübel Stiftung (KKS) and the German Federal Ministry for Economic Cooperation (BMZ). December 12-13, 2018 – San Pio Village, Dumlog, Talisay. 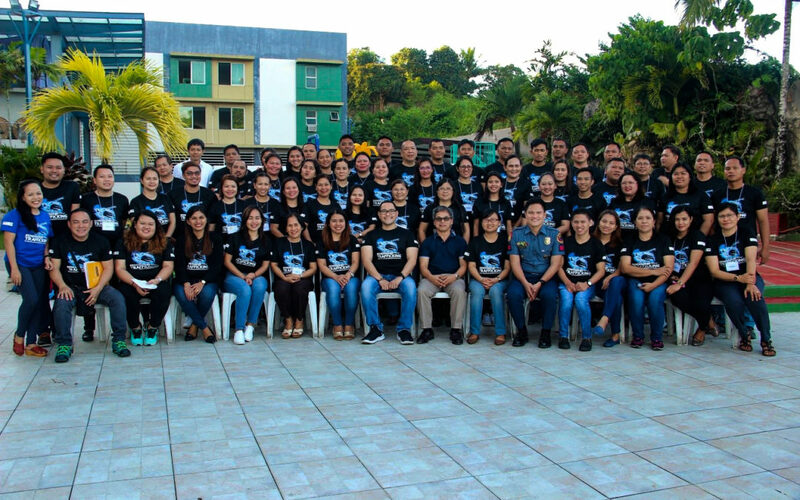 All JPIC-IDC staff from the Visayas and Mindanao gathered for two days for its year-end assessment activity. This activity highlights milestones being done and to review where we have not done well and to reinvent ourselves to do better. This year’s year-end assessment activity started with an input from Fr. Heinz Kulueke, SVD – former Superior General of the Society of the Divine Word (SVD) and one of the founding pioneers of JPIC-IDC. He eloquently brought us back to the beginnings of JPIC-IDC and its journey – filled with successful stories notwithstanding the challenges – these past nineteen years. 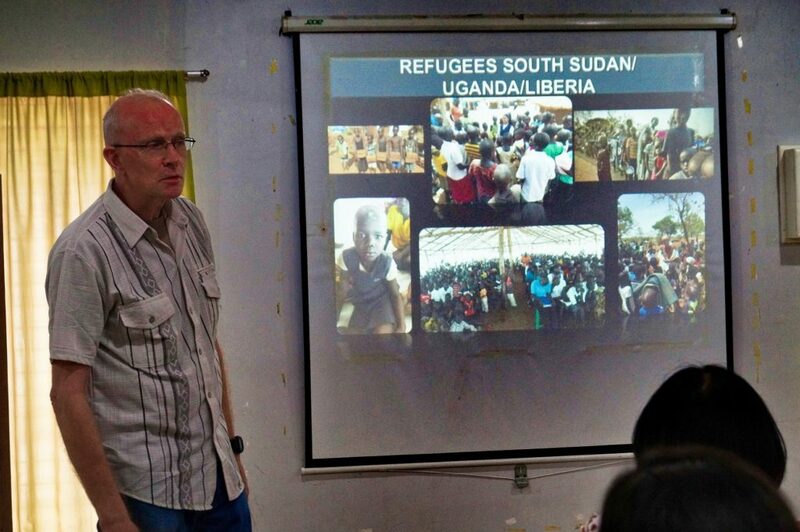 Equally, he gave us an overview of the social work of the SVD worldwide. He very clearly underscored that we are doing what we are doing because this is what Jesus wants us to do as Christians. And we are doing our work not for something, but for somebody. On the second day, in the first part of the morning, the assessment was centered on JPIC-IDC’s 5-Year Strategic Plan (2018-2022). The staff were divided into five groups according to the 5 goals. Each group highlighted what has been done and what has not been done. Understandably, revisions were made on some provisions to make the strategic plan more realistic and doable. New provisions were also added. The second part of the morning was devoted to review the final draft of JPIC-IDC’s Child Protection Policy. Hopefully, this could be implemented in the first quarter of 2019. In the afternoon, for about half an hour, the German volunteers presented and shared their experiences, living and working in JPIC-IDC’s partner communities. Then followed discussions about organizational concerns, such as: Finance, HR and Mutual Fund. The lighter side of the day was the exchanging of gifts. The activity ended by a celebration of the Holy Eucharist presided by the Fr. Romeo Q. Cagatin, SVD – Executive Director of JPIC-IDC. Dinner was served before everybody headed home. 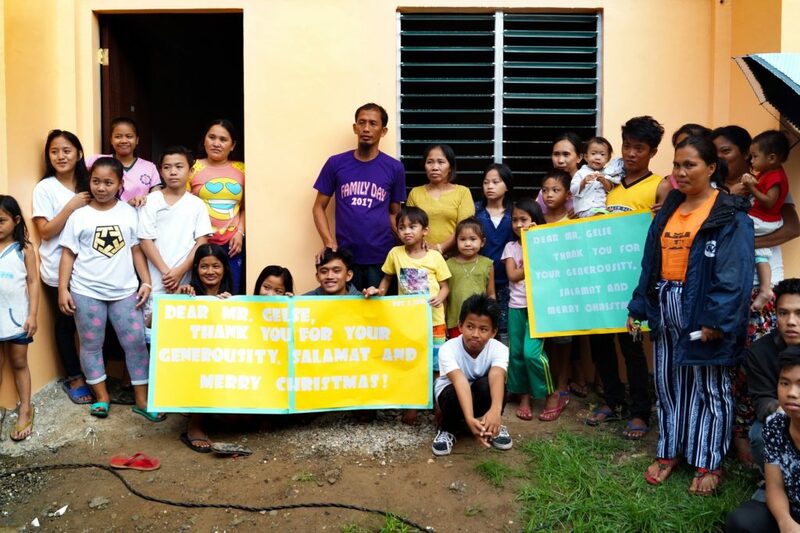 Eleven families from the Inayawan Landfill and from informal settlements in Talisay City moved in to their new houses in San Pio village, Barangay Dumlog, Talisay City. At 4:00 AM, in a solemn ceremony, they re-enacted the Exodus story of the people of Israel as if it were their own. Symbolically, carrying some of their belongings, they started their march from the gate of the village to the village chapel with intermittent stops in between. In every stop, a passage of the Exodus story was read aloud. And in an expression of joy, they were also singing songs of praise to God. When everybody has settled-in inside the chapel, a eucharistic celebration presided by Fr. Heinz Kulueke, SVD followed. After the communion and before the final blessing, a short ritual of the handing of the keys to the beneficiaries was done. Needless to say, the beneficiaries were deeply happy and grateful for the privilege to own a house. A couple of them stood up to express their profound gratitude to God, to JPIC-IDC and to the donors for their generosity. 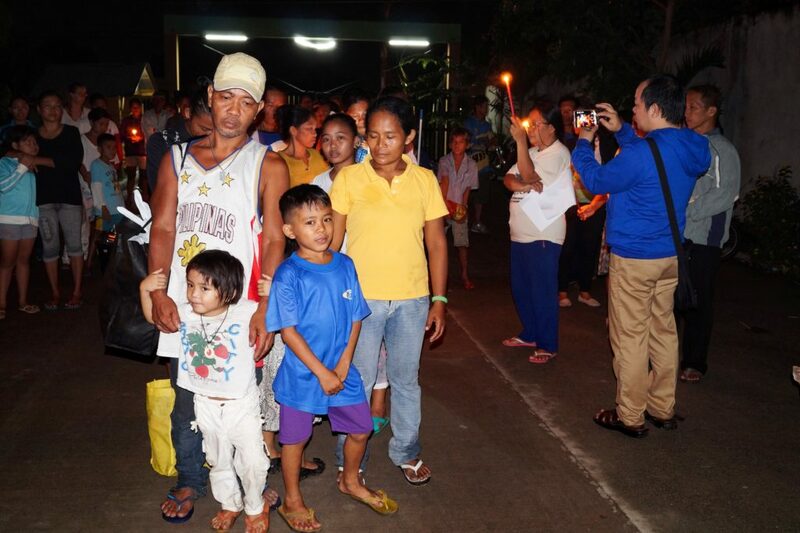 After a group photo of the beneficiaries, the residents of San Pio Village accompanied them to their respective houses. And Fr. Romeo Q. Cagatin, SVD blessed the new housing units.